ROCK GIKEN KOGYO Co.,LTD. | Make bright future with our technology. About ROCK GIKEN KOGYO Co.,LTD. 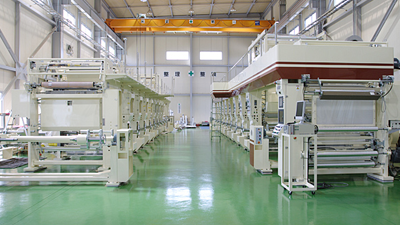 We, Rock Giken Kogyo Co., Ltd. was established as a gravure printing machinery’s manufacturer. 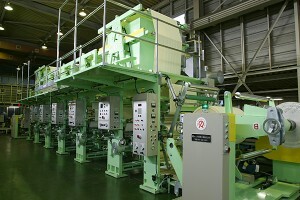 Later we have developed gravure offset printing machine, various coating machines. 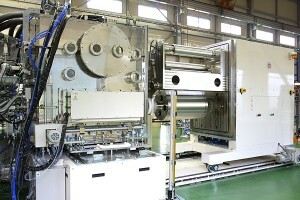 And we succeeded to develop various vacuum coating machine also at present. We can supply various coating method from wet coating like gravure method to dry coating like vacuum vapor deposition method. 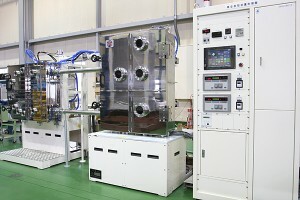 So, we have various method of coating between micron unit and angstrom unit. We hope to help customer’s development division and development institution to develop new device by our Roll to Roll technology and vacuum technology. GRIII-H can print on the surface of wallpaper by water based ink at 100m/min. RVC-W can wind the various web in vacuum for experimentation.